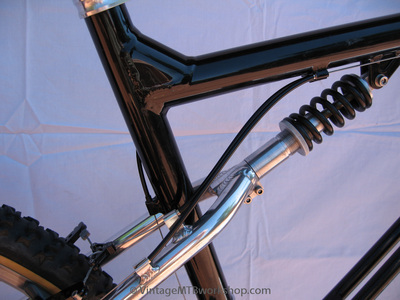 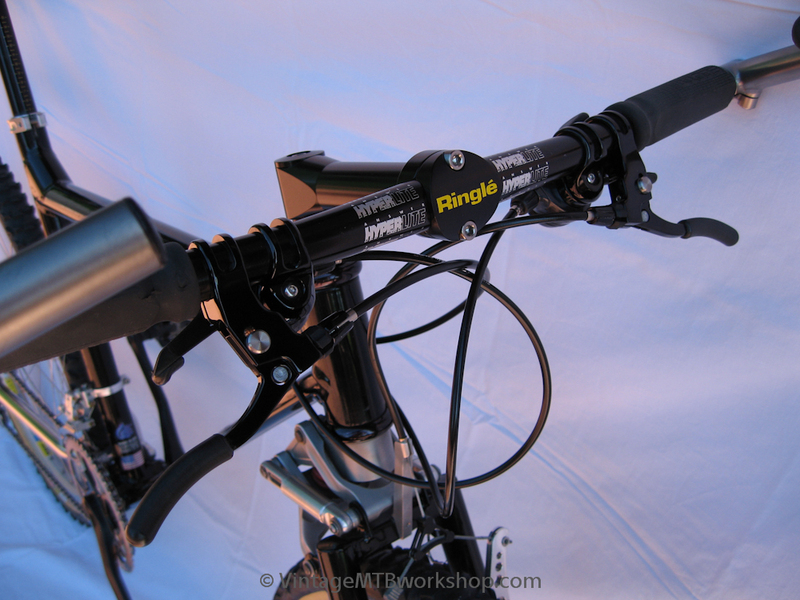 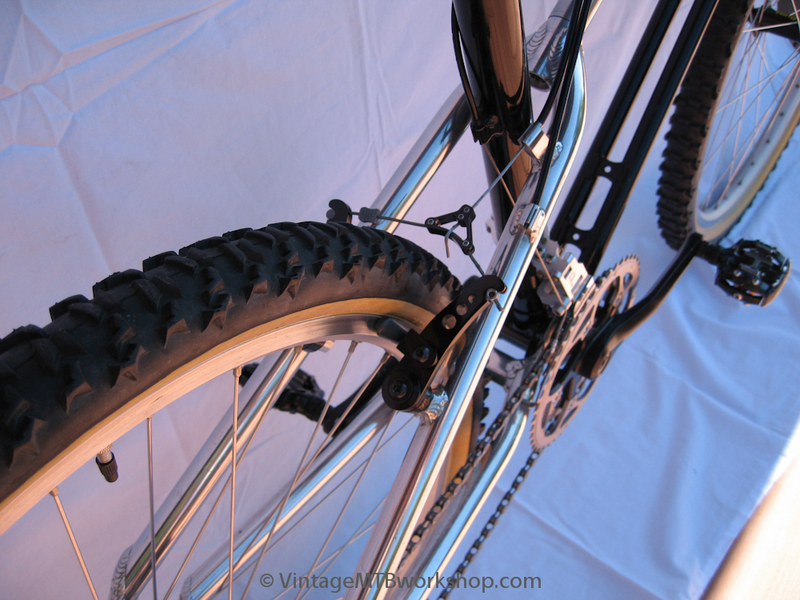 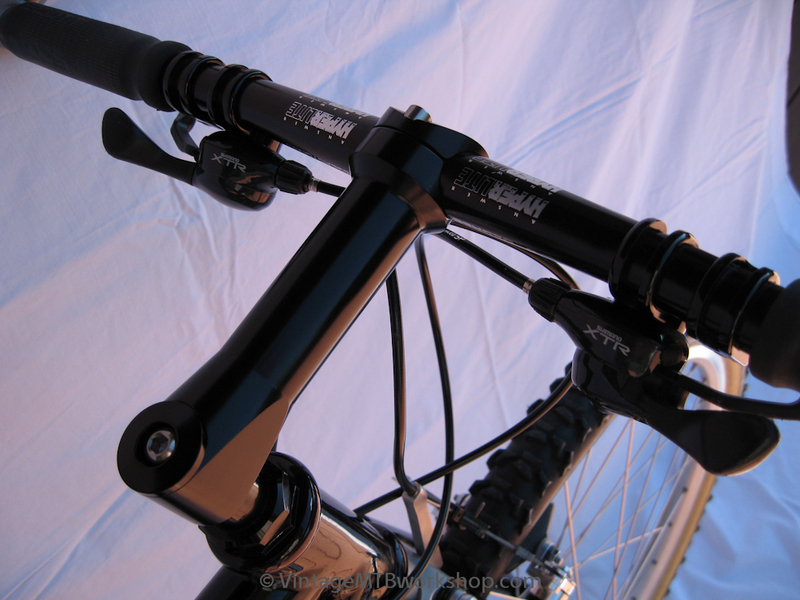 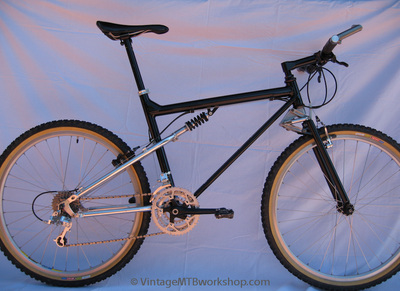 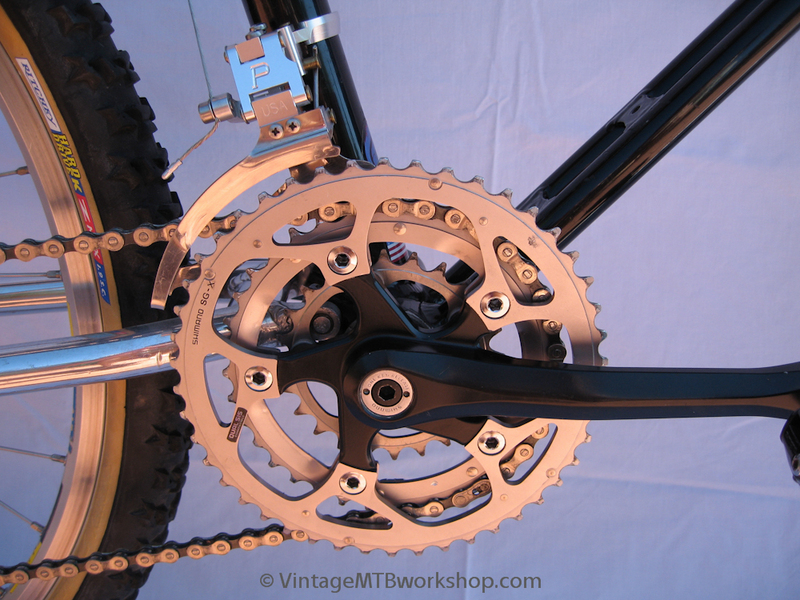 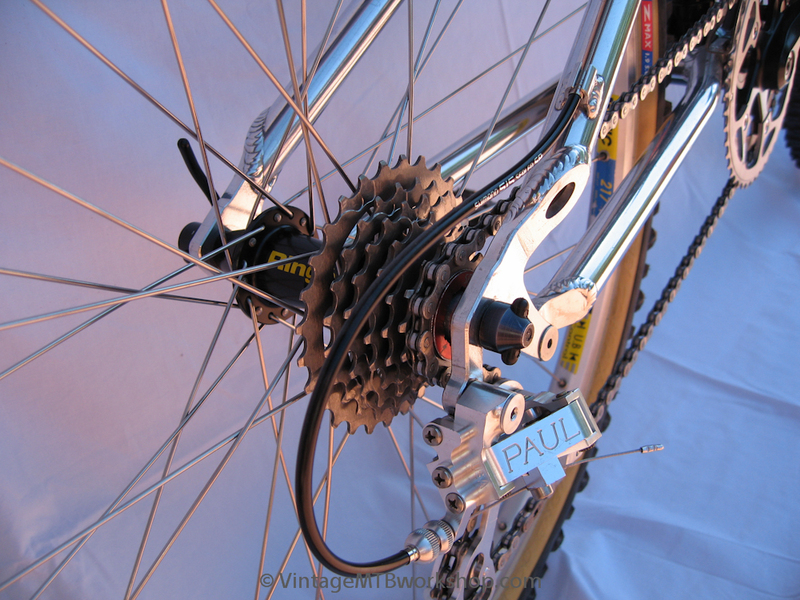 The AMP Research B-2 was a significant bike back in 1993 because it offered quality suspension that remained active, in a frame that was also lightweight. 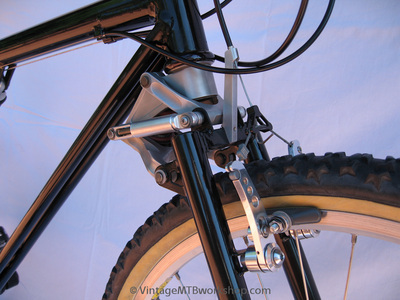 Unfortunately, the bikes were so light that they tended to wear out easily, developing play in pivots that rode on aluminum axles and soft bushings. This particular B-2 was built with a lot of US-made aftermarket parts.